Second Inversion hosts share a favorite selection from this Friday’s playlist. Tune in during the indicated hours below on Friday, October 14 to hear these pieces. In the meantime, you’ll hear other great new and unusual music from all corners of the classical genre 24/7! I‘m a total nut for minimalism and usually turn to it when working, running, cooking, commuting, exploring, just about anything. So, I was thrilled to discover Dreaming Awake, a recently released 2-disc journey of Philip Glass’ piano music guided by Bruce Levingston. Ten of his etudes are tucked in between and around The Illusionist Suite, Wichita Vortex Suite (with guest vocals from Ethan Hawke), Dreaming Awake, and Metamorphosis No.2, for an asymmetric but balanced collection. Richard Reed Parry is one of those musicians who really writes from the heart—in this case, literally. His “Heart and Breath Sextet” throws all time signatures out the window and instead instructs the performers to play, well, to the beat of their hearts. The piece comes from his introspective opus, Music for Heart and Breath: a series of compositions which uses the performers’ hearts and lungs as the performance parameters. Each musician is instructed to play with a stethoscope (and very quietly) in order to stay in sync with their own heartbeat, thus resulting in a beautifully irregular ebb and flow—a soft and serene watercolor come to life. And as you can imagine, no two hearts beat exactly in time. For this sextet, performed by yMusic with Nico Muhly on piano, the result is a pointillistic effect: starts and stops are staggered, melodies fall out of sync with one another, harmonies bend delicately up and down. From Sleep is an offshoot of Richter’s durational album Sleep, which clocks in at 8 hours – about the amount of sleeping time scientists recommend for adults. While Sleep is intended as “a personal lullaby for a frenetic world” and meant to be listened while one is counting sheep and through the duration of the sleep cycle, From Sleep is a more modest 60-minute ambient daydream. It’s a warm blanket of hazy, cozy sound. 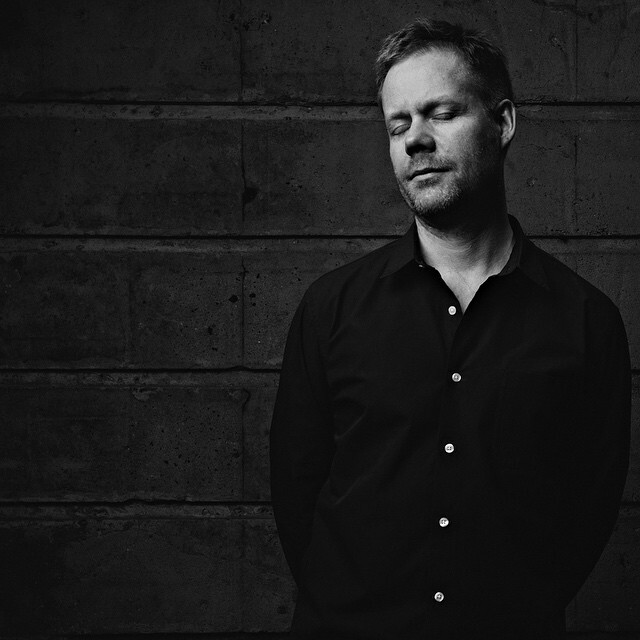 Richter calls it his “manifesto for a slower pace of existence.” The two albums share a common landscape, but with a much shorter run-time From Sleep is less of a political statement. The album contains seven selections that sound different enough to be their own pieces but flow seamlessly together, enough so that it’s difficult to tell when one piece has ended and the next begins. Richter has composed a delicate musical cocoon with no sharp edges. From Sleep opens with “Dream 3 (In the Midst of My Life).” The gentle, pulsing piano feels like a lone boat bobbing up and down in a vast ocean. The vaguely aqueous feel continues into the next selection, “Path 5 (Delta),” which offers up synthesized vocals from soprano Grace Davidson that sound like they could have been recorded underwater. As the song goes on her voice even begins to sound less human and more like a beautiful, sorrowful, looping whale song. “Space 11 (Invisible Pages Over)” is a simple drone that serves as a bridge to “Dream 13 (Minus Even),” where we are again treated to Richter’s tranquil piano. This time the piano is less pulsing and more like a lullaby with the cello taking its time to join in like a tranquil foghorn. The fog begins to lift at about the halfway mark and you can almost feel the warm sun dappling the aural scenery. The looping structure of the album mirrors the looping within the songs as we move from “Dream 13 (Minus Even)” to another bridging drone (“Space 21 (Petrichor)”), to more slow, precious, circular piano in “Path 19 (Yet Frailest)”, and finally return in “Dream 8 (Late & Soon)” to silky strings, moody organ, and Davidson’s lamenting vocals floating in and out like a zephyr. Given its graceful serenity, From Sleep could be used as ambient background music for students, a meditative companion for yogis, or the soundtrack to a relaxing evening walk. And yes, you can also use it as a sleep aid. Hit play on this dulcet album in any situation where the end goal is to relax, open up the mind, and disengage from the busy whirring of everyday life. This is an amazing piece that I first stumbled upon several years ago and basically put on repeat. It’s a unique set-up where you have things like a hyper-accordion, which is an invention by the player himself, Michael Ward-Bergeman. He basically takes two inputs and puts them on either side of the accordion and creates this stereo effect with a machine that mixes them together to create the “hyper effect.” It’s kind of like an accordion on steroids and produces a lot of intense sounds. Golijov uses this to great effect to take you through different modes of musical communication. It’s not stuck in style; it really goes all over the place, but all fits together very well and flows very naturally. There are moments that are very touching and movements where you’ll think, “What the hell is going on?” but in a really great way. It’s extremely exciting! Dawn Upshaw gives an incredible performance and allows herself to go to places that are just primal in nature. Addiction. Heartbreak. Disappointment. We’d like to brush all these things under a rug, but sometimes they’re the facts of life. 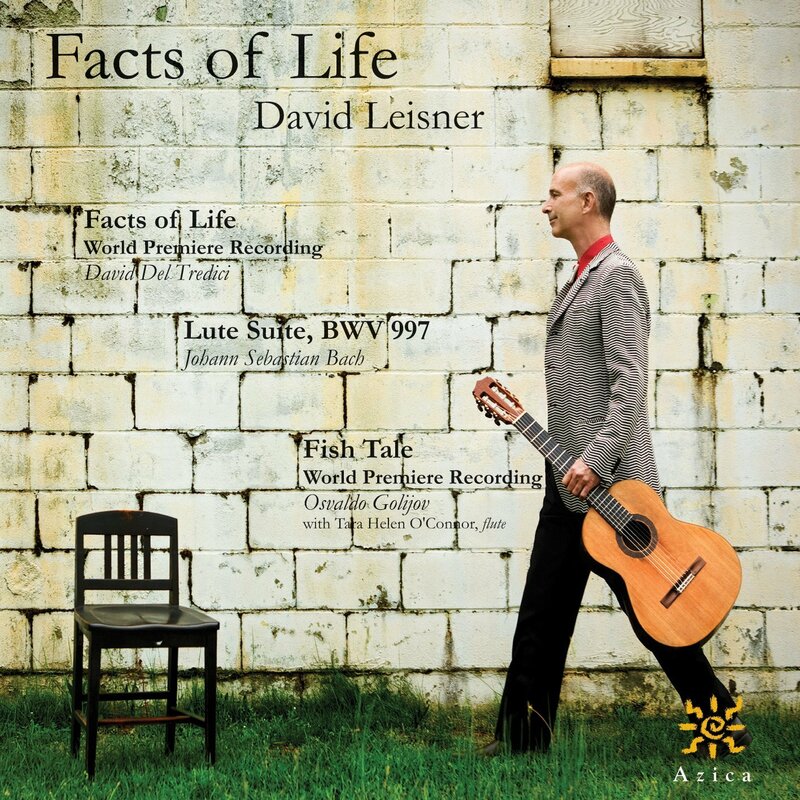 Composer David del Tredici chose to place his negative life experiences at the forefront of his four-movement solo guitar work, “Facts of Life.” It’s just one of three pieces on an album featuring the virtuosic guitarist David Leisner. The piece transitions effortlessly from tango to fugue to some fantastically frenetic strumming. Another beautifully chaotic piece on the album is Osvaldo Golijov’s “Fish Tale,” a chamber piece about a sea creature who takes a trippy, Alice in Wonderland-like journey through the water. This piece is something totally different: an orchestral work that is part symphony, part sitar concerto. Both a sitar master and long-time classical composer and collaborator, the late Ravi Shankar fashioned a four-movement work that brings Hindustani music to the Western orchestral ensemble. Pounding raga-like rhythms and dance figures can be found throughout, augmented by actual vocalizations by the LPO players in the final movement. The composer’s daughter, sitar virtuoso Anoushka Shankar shines in this live performance recording. Common practice period not spicy enough? These unique symphonic flavors might do the trick.